Prominent & Leading Wholesale Trader from Chennai, we offer mineral fiber ceiling tile, pvc gypsum ceiling tile, acoustic ceiling tile, ceiling tiles and pvc laminated gypsum ceiling tiles. 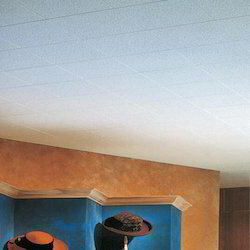 We are counted amongst the reckoned names in the industry offering our clients wide range of Ceiling tile that are appreciated among the clients for its texture. Our entire product ranges are dimensionally accurate and ensures hassle-free service life. Our entire product range reflects the creative looks and patterns of our entire product range. Moreover, we offer them at most affordable rates. 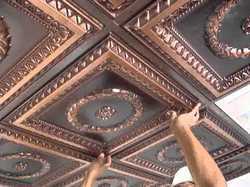 We are established firm in making ceiling tiles. These tiles are good and can easily fit in any environment like in wall. 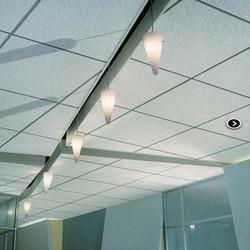 Ceiling tiles give a dazzling look to your ceiling which will enhance the beauty of the place. These tiles gives a life to your wall it provides protection from moisture especially in rainy weather. These tiles are easy to clean and wipe without using any special liquid. These tiles are available at bottom price which will be fit in your expense. Being the renowned names in the industry, we manufacture and offer creatively designed range of ceiling tiles. We provide the complete product range in high quality finishing and well-polished. Our product range is available in varied thicknesses and shades and can be customized as per the requirement of our valuable clients. Furthermore, we offer them at most reasonable rates. 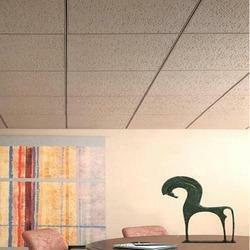 We are a quality conscious organization, offering a broad assortment of Ceiling Tiles. The provided tiles are widely appreciated for their perfect finish, optimum quality and elegant design. The offered tiles are designed using optimum quality raw materials and modern technology in line with the industry quality norms. The provided tiles are available in variegated designs, sizes, and patterns. 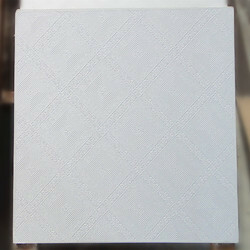 These tiles are used in residential and commercial projects.